Andreas Gerbhart is our Chief Executive Officer (CEO). Before joining Cencosud, Mr. Gebhartd was employed in the electric utility sector for 25 years; commencing in 1992 at Eléctrica de Rio Mapio,a subsidary of Enersis. In 2006, Mr. Gerbhardt assumed the role of Corporate Commercial Officer at Chilectra (today Enel Distribución Chile) and later, in 2014, he was appointed CEO of Enel Distribución Chile. 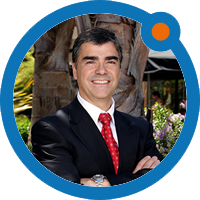 Andreas holds a Hydraulic Civil Engineer degree from the Universidad Catolica de Chile and executive training in Corporate Entrepreneurship, Leadership in Energy and Marketing from Babson Executive Education, Harvard Business School and Kellogg School of Management, respectively. Mr. Jandzio has been our Audit Managing Director since 1998. Before joining Cencosud, he was the Regional Chief for the Global Accounting Department for the Deutsche Bank Group in Frankfurt, Germany. Mr. Jandzio has a Banklehre diploma from the German Banking Academy. Mr. Antonio Ureta is our Corporate Supermarkets Manager. He joined the Company in 2002, taking on different positions throughout Cencosud since then. He first began working in Supermarkets, then in Department Stores as Financial Control Officer and Development Manager, and later was appointed General Manager of the Cencosud Commercial Office in China. After four years abroad, he returned to Chile in July 2014 to take on the Corporate Management position of the Home Improvement division. In October 2018, Mr. Ureta was appointed Corporate Manager of the Supermarkets division. Mr. Ureta holds a Civil Engineer degree from the Universidad Catolica de Chile. Mr. Bennett was appointed as our Department Store Managing Director in February 2014. He joined Cencosud in 2008 as Department Store Business Development Manager. Mr. Bennett holds a degree in civil engineering and an MBA from ESADE, Barcelona, Spain. Prior to joining Cencosud Mr. Bennett was a buyer at Falabella. 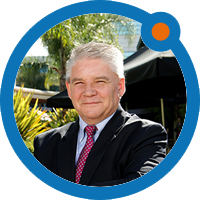 Mr. Rivas has been our Financial Retail Managing Director since 2011. Previously he served as our Corporate Risk Managing Director from 2010 to 2011. He graduated with a degree in Business Administration from the Pontificia Universidad Católica de Chile. 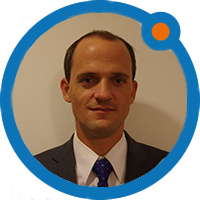 Mr. Matias Videla is our Chief Financial Officer since January 2019. He joined the Company in 1997 as a trainee for Corporate Financial Control and Supermarkets division. In 2008, Mr. Videla was promoted to Financial Control Officer of the Company and in 2009 he was appointed Manager of Supermarkets Argentina. In 2018, Mr. Videla took on the position of Chief Corporate Manager of the Shopping Centers division. 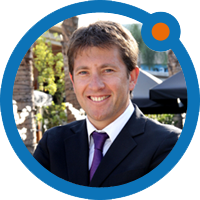 Matias holds a Business Administration degree from the Universidad Salvador (USAL) and an Executive MBA from the Universidad Austral. Mr. German Cerrato is our Corporate Shopping Centers Manager, since February 2019. Mr. Cerrato joined the Company in 2007, taking on different positions in the Shopping Centers division throughout Argentina, Chile and Colombia. Before being promoted to the management level of the Shopping Centers, Mr. Cerrato was appointed Regional Real Estate Development Manager, a position he held from 2016 and 2018. During 2018, Mr. Cerrato was appointed Manager of Shopping Centers Argentina. Mr. Sebastian Rivera is our Corporate Legal Affairs and Institutional Relations Manager, since February 2019. Mr. Rivera originally joined the Company in 2002 as an adviser in judicial matters for the Shopping Centers and Financial Services divisions. In 2012, after three years away, Mr. Rivera returned to the Company as Deputy Manager of Legal Affairs and in 2014 became the Manager of the department. Mr. Rivera holds a Law degree from the Universidad de Chile and a Master in Corporate law from the Universidad Catolica. Mr. Sebastian Conde is our Corporate Human Resources Manager since March 2019. Before joining Cencosud Mr. Conde was Vice President of Human Resources at CODELCO and President of the Board of Directors of its private health systems (ISAPRES) and hospitals. He also served as Secretary of the Board of Directors of Antofagasta PLC, President of the Board of Directors of Asociación Chile de Gas Licuado and was Associate Professor of the Industrial Engineering department at the Universidad de Chile. Previously, Mr.Conde was employed at Exxon Mobil Corporation where he held a variety of positions including; Financial Manager, Corporate Trainee Manager, Human Resource Manager, Corporate Projects Manager, Chief Executive Manager and Director of its companies in Santiago, New York, Houston, Paris, Singapore, Bangkok and Buenos Aires. Mr. Conde holds a Bachelor of Arts degree in Economics and a Master in Public Affairs from Princeton University, United States. Carlos Mechetti Is Legal Affair Officer, since 1999. Mr. Mechetti joined Cencosud in 1994 as a legal advisor for Shopping Centers division in Argentina. He holds a law degree from the Universidad del Museo Argentino. After graduating, Mr. Mechetti completed several post-graduate courses at UBA, UADE, CEMA and Harvard.